Click and Drag. And if you've worn out your mouse / trackpad, then here's some Spoilers. That Spoilers link doesn't seem to work. It didn't work in Firefox but it works in Chrome. I'm not sure there's a point to it though. Unless this is the end of XKCD. If you follow at ground level all the way to the far right, you get a guy with a balloon saying "I wonder where I'll float next." Wasn't that in their first comic? The spoilers link is a full sized version of the draggable image. Unzoom your page to the max, and use the webpage scrollbars. But it spoils the fun of the original. indigorain : There's so much more than just ground level and to the right. Keep looking & following. Plus, I think it's just a beautiful work of art. Metafilter: There's so much more than just ground level and to the right. Keep looking & following. Plus, I think it's just a beautiful work of art. I got lost in the tunnels for what felt like forever before I returned by clicking back and lost my place. Damn! Back to it...haven't checked xkcd for a very long time, and this is maybe the most amazing thing he's done thus far. Also, I'm quite pleased that it actually works on the iPad! How unusual. Wow. Take away the ubiquitous ability to "zoom" and your perspective changes completely. Sometimes being unable to see the whole picture is a good thing. zoo: "indigorain : There's so much more than just ground level and to the right. Keep looking & following. Plus, I think it's just a beautiful work of art." Yes I know that. That wasn't my point. It reminds me of the things I used to draw in the margins of my maths books. Is there any reasonably easy way to capture the whole image so I can zoom in and out? The "spoiler" link makes it so much easier...I was getting hand cramps scrolling around this thing, and got lost at one point. World 1.1 from Super Mario Brothers is definitely my favorite tidbit, but there's just so much in this picture. It's great. I'm just glad someone else sees giant aerial jellyfish besides me. 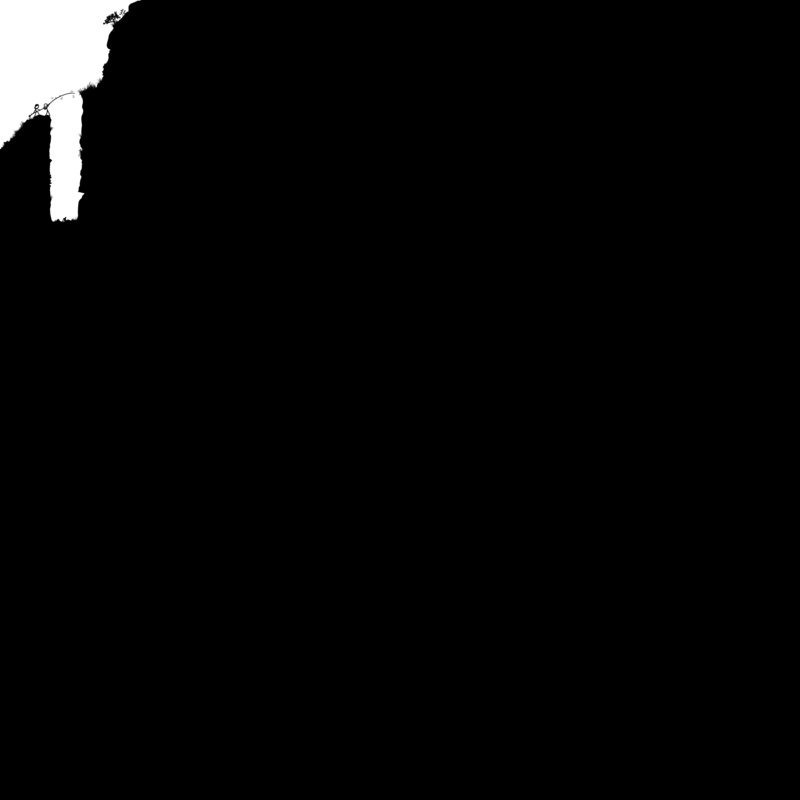 The spoilers link is a full sized version of the draggable image. Unzoom your page to the max, and use the webpage scrollbars. But it spoils the fun is less of an RSI hazard than the original. Lot's o' clicking-and-dragging, fer sure. Excellent. Thanks for the spoiler link. 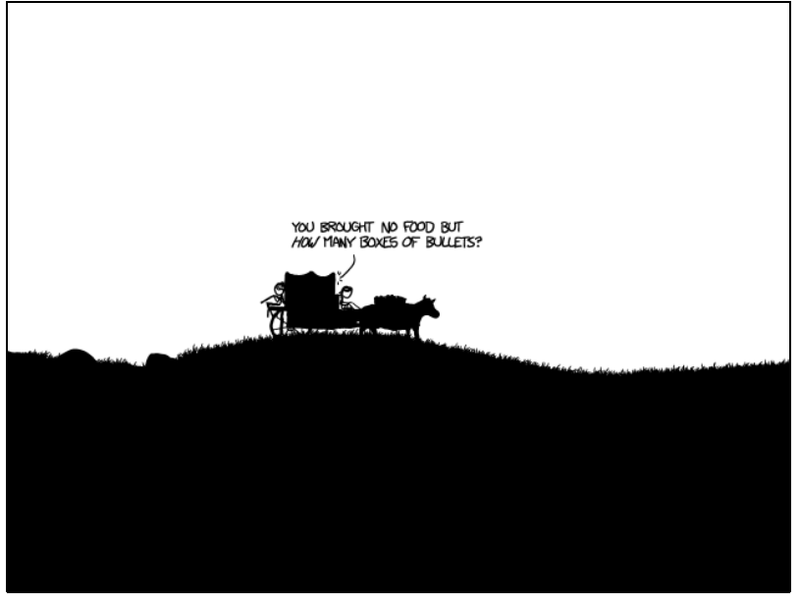 A couple of times this morning I'd got lost / fed up with scrolling on the XKCD website and had to reset. The spoiler link is much easier. - and loads more I'm sure. That Spoilers link sure makes Firefox whimper and scream in pain. I still haven't gotten it to fully load...at least not and leave FF responsive. Scott Mcloud (who already must be pretty happy with Randal Munroe) will probably see this and smile so wide he swallows an ear. Tho I'm not sure if he'd call it comics. Did you catch the reference to Harvey Danger's Flagpole Sitta? Where n1=1 or 2, and d1 is n for north, s for south, n2 is 1 to 48, and d2 is e for east, w for west. Not all patterns yield a file. I can no longer see Black Hat without thinking "that's Walter White!" I like the reference made to 1995 film Hackers. The stick figures on the low sections of the right side of the roof of the skyscraper in the middle of the Azurewebsites frame that lloyder linked to. Elizabeth Warren on a pirate ship. Heh. "Becky?" is the winner for me. ok I started dragging down the Mario Bros holes and I got filled with too much dread to continue. When does it reach horrible unspeakable horror? I found the Great Blue Hills weather observatory! I am assuming he had a technique for getting some of this stuff done by just treshholding or livetracing some photographic resources, but part of me just imagines boring a hole right through the wacom tablet, down into the desk, and into the mantle of the earth drawing all that grass. Can someone start explaining the references? What is the "Becky?" one from? This is my favorite interface for it, which is something that's probably not been said much before today about a comic. Or the deeply buried pasture with a lone tree and the guy petting a dog... That's what I want to imagine the deepest caverns behold. Bless you, knile, that link was super helpful. Oh XKCD, I love you. Based on Knile's link, I found most of the good stuff using the original interface, but it's good to be able to find the stuff I missed. These third party browsers are nice. I guess that means I can stop the scraper I just wrote, which is grabbing every tile, moving away from the origin. That's a negative, Apollo. There are no problems, only opportunities. Over. We're up so high that if you threw a penny off the edge, inflation would reduce its value to $0.0099999975 by the time it landed. Totally stealing that line. Nice job, Randall. Just confirmed: The "CD" in "XKCD" stands for the same thing the "CD" in "OCD" stands for. Ugh, it worked in preview. Oh well, just go to the link. It does work, though. Man...I got lost in the mines of moria. Randall Munroe should collaborate with Nifflas. Yeah, I was coming in just to say "Is that Elizabeth Warren?!" "Jesus, why do your footprints change to tire tracks whenever I am threatened by decepticons?" This all works a lot better in Firefox than in IE. I'm stunned, but I think the HHGTG reference is wrong. If it is a hitchhikers nod, it should be a whale and a bowl of petunias. Hoping this isn't his last one. Can somebody give me a hint on the Lemonade thing? I think it's just a lemonade stand and the person is disappointed that none of the falling people are buying. Now I'm wondering if the flying saucer thing near the underground pyramid is a specific reference or not. Are we getting jokes explained? Who's Becky? This is my preferred interface, since you can click to zoom to individual sections. Explain XKCD has a ways to go on the comic. I found this google maps style interface to work nicely. "Becky" is from Tom Sawyer, I believe. There is a scene where Tom Sawyer and his sweetheart Becky get lost in a cave. This is really best experienced with a full-screen version that lets you scroll with arrow keys but doesn't allow zooming out. Zooming out ruins the feeling of exploring. My immediate reaction is that "Becky?" is Tom Sawyer looking for Becky Thatcher when they get lost in the cave. It's like we're becoming arch-rivals or something! I gave up a little after finding the guy running from the creeper. That there is a lot of tunnel. But I will probably be back. That's not a flying saucer. It's an early submarine. What an amazing comic. When I play video games, I like to explore. This comic had me doing the same thing -- and the results were much more rewarding than some games I've played. It's like a rotoscope Myst. Thanks for this front-page post. I saw the comic this morning, and because I had NoScript running I only saw an empty window. I clicked and dragged and all that did was move the entire image (with empty window) all over the desktop. I thought it was supposed to be a neat capture of whatever you had on the desktop, and some trans-existential message on how it symbolizes the appreciation of how far we've come in the advancements in technology. Or something. Mainly I thought I was just too dumb to get the joke. The underground pyramid made me think of Lost, but I don't think that was the intended references. Mainly I thought I was just too dumb to get the joke. At least you tried clicking and dragging. I just thought "That's a weird title. Must be another strip that I don't get," and moved on, until I saw this post. And I don't know if it's because of a lifetime of playing video games, but exploring with the arrow keys makes this a million times better for me than the clicking and dragging. Thanks a bunch for posting that link, General Malaise. All future XKCD comics should take the form of little vignettes added to this world. The home page could be changed each week to start you off at wherever the most recent comic had been added, and you could explore the archives by wandering the world. The only thing I wish was there that I haven't found yet is Dig Dug. For some reason I found this to be offensively boring and disappointing. There is basically nothing interesting here. It's just a lot of work. Reminds me of the work of Chris Ware. In a good way. This really reminded me of the short Flash game Small Worlds. Just exploring a place is one of my favourite ways to experience a story. Can anyone tell what the object at the bottom of the first pit to the right is supposed to be? It doesn't look like a generic rock. Looks to me like a dropped lantern? I really enjoyed this, despite the not so great interface. My favorite part was the Oregon Trail bullet dillema. I enjoy these until they make me scroll 15 times down without finding anything. There are rewards, but it's like the reward of listening to the end of a shaggy dog story, because at least you get a resolution. If you want to impress, go all Kit Williams or something and make the pleasures intellectual no matter how much or little you scroll. Kinda thought xkcd mostly devolved into cutesy/injokes a while ago, but will still follow links when I see 'em, and... this is... epic and beautiful? Not something you can say too often about a 3-panel web cartoon. Nice. What is one of the jellyfish on the bottom left holding? I spent about 20 minutes on it this morning before thinking, 'I bet metafilter will point me in the direction of some cheats for this.' Now I'm not sure I want to use any of them. How long has he been working on this, just dying for it to be ready to let people see it. If there are parts that don't quite meet your personal standards for perfection, I really don't care. I don't have time for anyone who wants to try to be too cool for this. It's playing a computer game. Hmm, lantern makes sense, nobody. Thanks! I tend to read his strip with knowledge that his lady is battling cancer heavy as context. This seems like a love letter from a guy who's early work proved that he's pretty damn good at love letters. This reddit thread is a very good place to visit after you've gone through the comic yourself (preferably the google maps style version, as posted above). Quite a few things I missed, there - these velociraptors made me so happy. The woman by the satellite dish. Contact reference? I just spent the past twenty minutes exploring that game. Never say a word, yet is still heartbreaking. Oh my god, the playable version is magnificent.